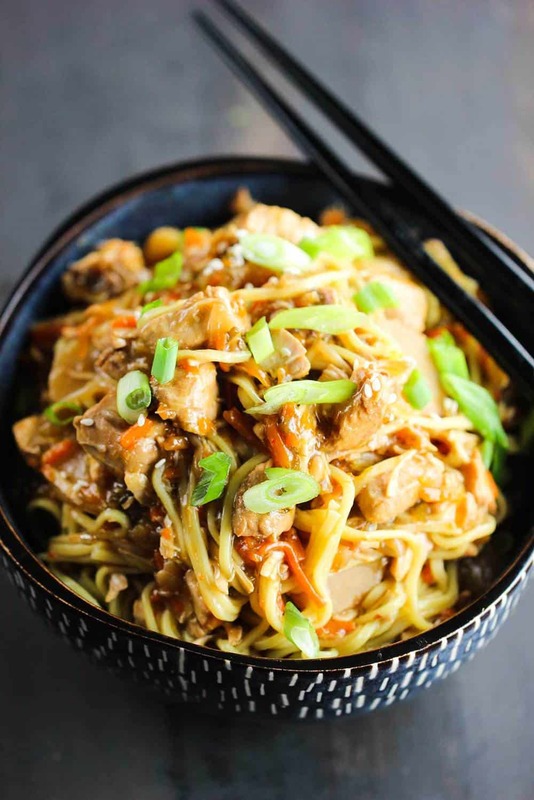 This Slow Cooker Chicken Chow Mein recipe is just wonderful. I haven’t used my trusty slow cooker in quite awhile, and this is an old favorite recipe the Loon and I have enjoyed for years. So, it was time to re-visit an old favorite. And man, oh man, did we enjoy it. The taste is classic Chinese cuisine and just so comforting and satisfying. This chicken chow mein is just a little spicy, but not too much. Just enough for it to warm you up and make you feel all nice and tingly. The veggies and chicken soak up all that amazing sauce and the smell as this dish is cooking is spectacular. We love Chinese food so much! We just love our Slow Cooker (which is a Crock Pot). Over the years, I have collected several different styles, but they all employ the same fool-proof method of cooking…low and slow. For this dish, I quickly sear the chicken first in a large skillet, and then add to the slow cooker with all the other ingredients, stir and then set the timer and forget about it until we’re ready to eat! Once the chow mein has cooked nice and slow for 6 to 8 hours, you’ll just add a little corn starch slurry to thicken, and then it’s ready to be served. And if you have a 5 or 6 quart slow cooker, the recipe can easily be doubled to feed a nice-sized group. Chicken Chow Mein is even better when prepared in your slow cooker! 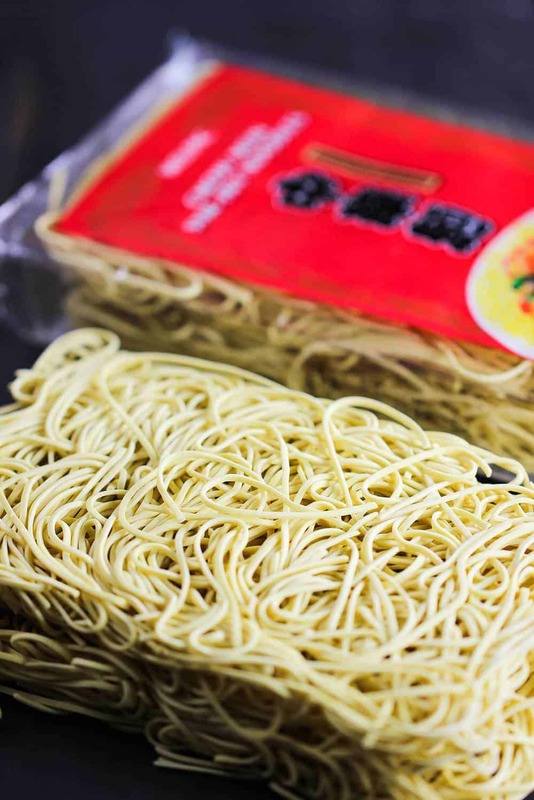 Chow Mein noodles are found in the Asian section of most major supermarkets. But, you can even go with a regular pasta noodle such as linguine or spaghetti. 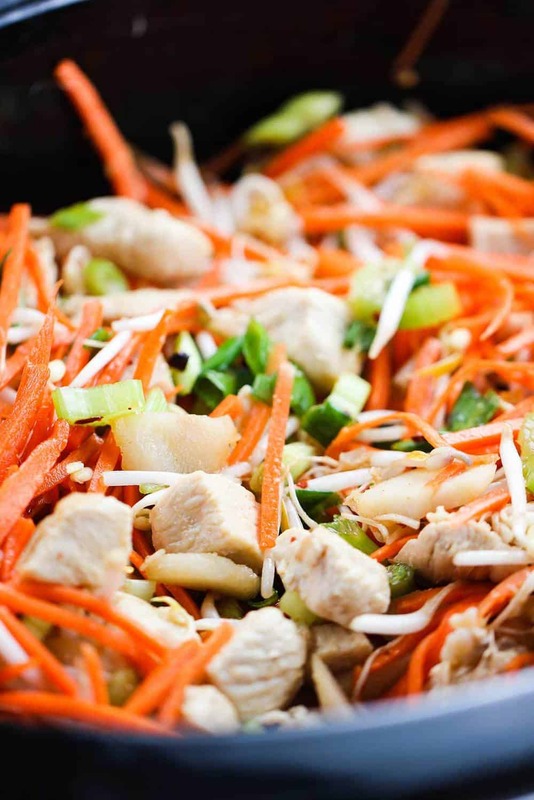 This Chicken Chow Mein recipe is really good over rice, too. If you go with noodles or rice, just cook them according to the package instructions. Either way, you can’t go wrong. This Slow Cooker Chicken Chow Mein has been a favorite of the Loon and myself for many, many years. The flavors are warm and comforting and we think this version as good as you’ll find. Well, that’s our opinion. But, we have a sneaking suspicion you’ll agree, too. 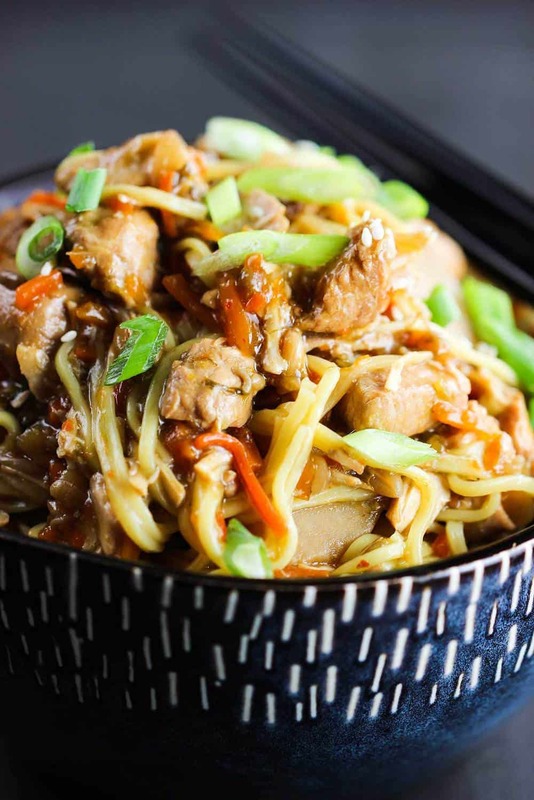 Now, go ahead and make this authentic Slow Cooker Chicken Chow Mein recipe. 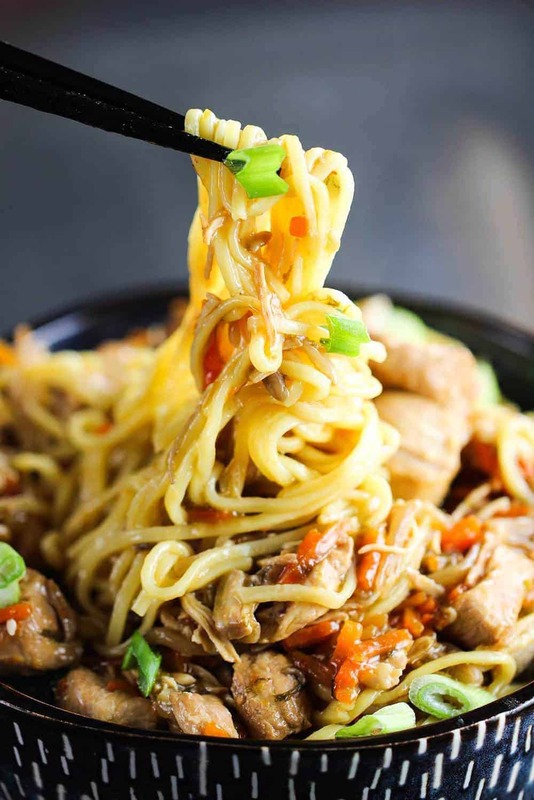 This Slow Cooker Chicken Chow Mein recipe has been one of our favorites for many, many years. It's time to dust off that slow cooker and make your house smell amazing all day. And then dig into one of the best homemade chicken chow mien dishes you'll ever have. This recipe can be doubled for 5 or 6 quart slow cookers. Cooked chow mein noodles or rice, for serving. Add chicken pieces and cook until lightly browned all over. 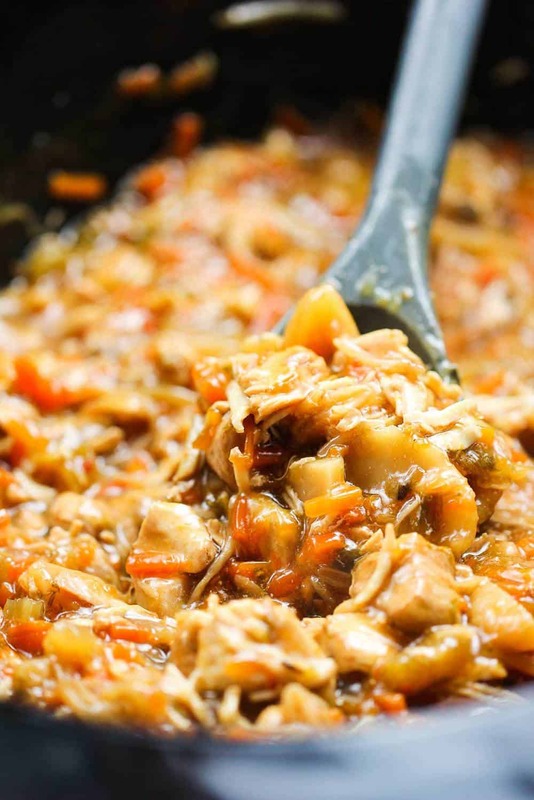 Place cooked chicken into slow cooker. Add remaining ingredients, except cornstarch and water (don't include the noodles/rice); stir to combine. Turn to High. Meanwhile, in a small bowl, stir cornstarch into cold water until dissolved. Stir the cornstarch slurry into the slow cooker and place the cover slightly ajar. Serve with cooked chow mein noodles, or rice. Made this today and it was amazing! My husband said it’s a keeper. Thanks for the great recipes. I’m currently bedridden because of an accident so even though I love to cook I can’t work in the kitchen. One of the very few upsides of what I’m going thru now is I have a lot of free time to play on the internet where I found you! I’m enjoying your blog tremendously and am looking forward to trying out your mouthwatering recipes on my family as soon as I’m able to.